Summer means fireworks! As the spring and summer heat up, you’ll have more and more opportunities to take in sky-high pyrotechnics in the Daytona Beach area. 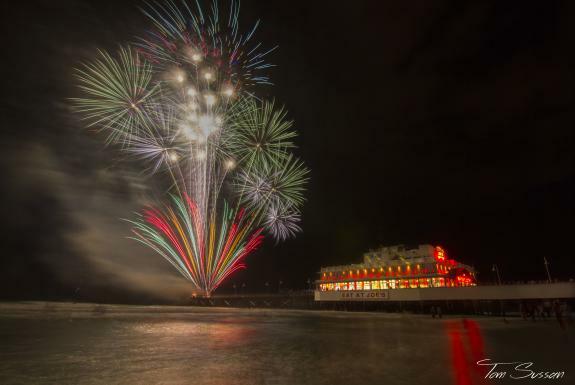 These three locations have fireworks consistently through the summer, starting in May. The list of entertainment and activity options in Daytona Beach runs as deep and wide as our 23 miles of beaches. 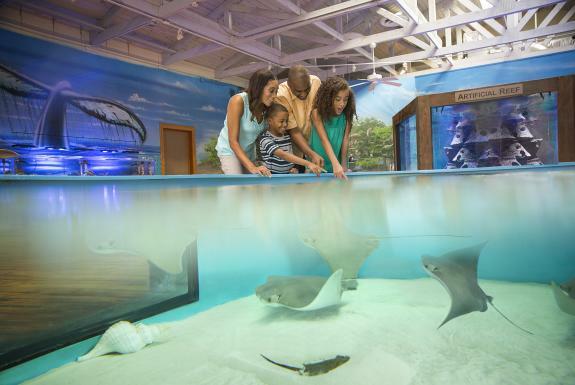 From jumping on jet skis and exploring the waterways to uncovering the history that shaped the area, there’s no limit to the possibilities for family fun in Daytona Beach. 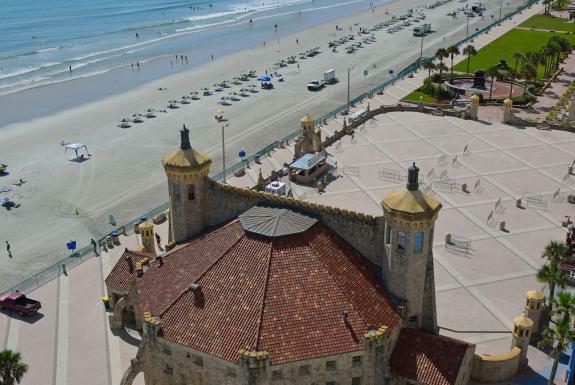 One of the best ways to cap off a fun day of splashing around at the beach or exploring the city’s shopping scene is to groove to live music at the Daytona Beach Bandshell. 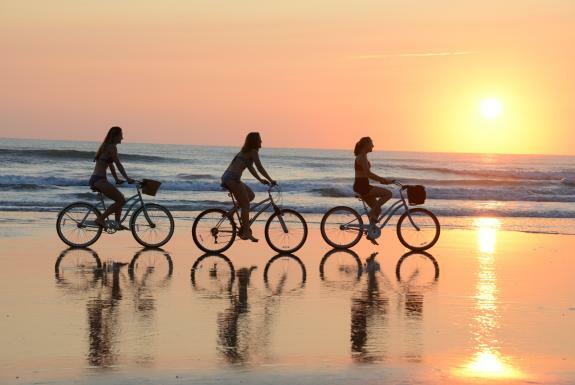 Beyond being a popular destination for beach lovers, shell finders and sunrise strollers, Daytona Beach offers endless fun activities and adventurous outings. In fact, there’s something about the warm summer sunshine and bright blue skies in Daytona Beach that makes people feel like the world is theirs for the taking. Experience cinematic excellence in an all-natural environment during the “Movies on the Halifax” series. 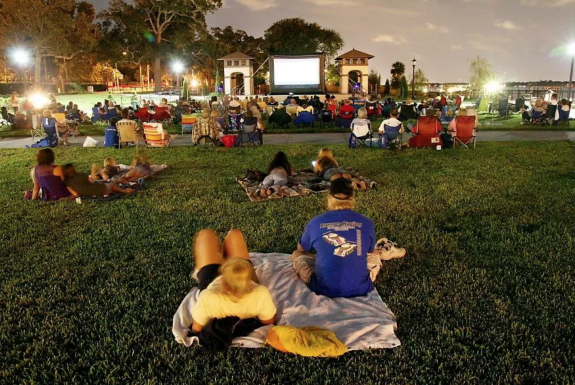 Each first Friday of the month from now through December, The Casements will host a movie night under the stars and along the waterfront in Rockefeller Gardens. It’s a wonderful way to enjoy entertainment with your family in the great outdoors. Sponsored by the Department of Leisure Services and The Casement Guild, the movie nights are offered to the public free of charge. Getting the whole family together is a fun, meaningful experience that both kids and adults can treasure year after year. 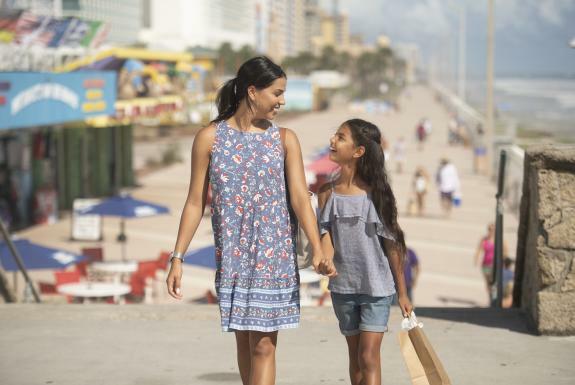 And while planning a family reunion on any scale can be daunting, Daytona Beach offers a great solution for a low-stress getaway with an easy planning process. Looking for a way to liven up your weeknights? Thinking of what you can do to entertain your family this weekend? Daytona Beach has plenty of answers for you. Not only is Daytona Beach considered the Festival Capital of the World, but plenty of smaller-scale events and activities also happen here on a weekly basis. 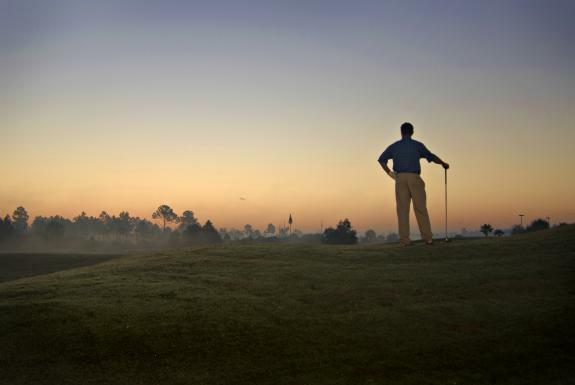 With the DAYTONA 500 less than two weeks away, the eyes of the sports world will be turning to Central Florida, but for golfers, the end of the Great American Race is the just the beginning of the good times. This year, opt for a spring getaway laced with elements of educational exploration! 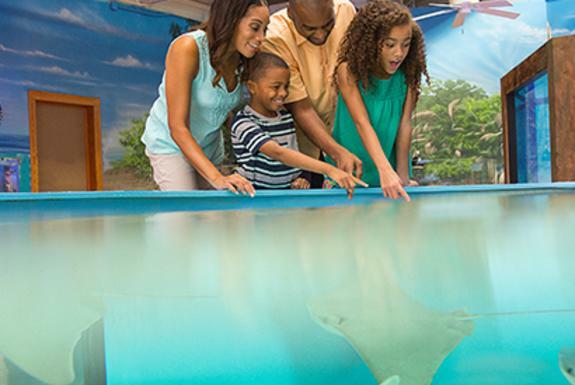 That’s right — Daytona Beach is not only a favorite family destination for its sunshine and outdoor adventures, but also for its enriching opportunities to learn. If you’re looking for a way to relax and reconnect with your family while still engaging young minds, look no further. Here, it’s easy to get a taste of culture, expand horizons or learn something new without ever ending the fun. Ahead, read about five favorite educational experiences available in the Daytona Beach area. Tips for Planning Your Family’s Perfect Spring Break Getaway! Cold snaps and snowstorms around the country have the nation collectively longing for warm sunshine and sandy beaches. Luckily, both of those things are waiting for you in Daytona Beach. This year, your family can escape from the daily grind and dreary weather with a spring break vacation in beautiful Daytona Beach. Ahead, read some of our suggestions on how to have the best-ever family getaway. 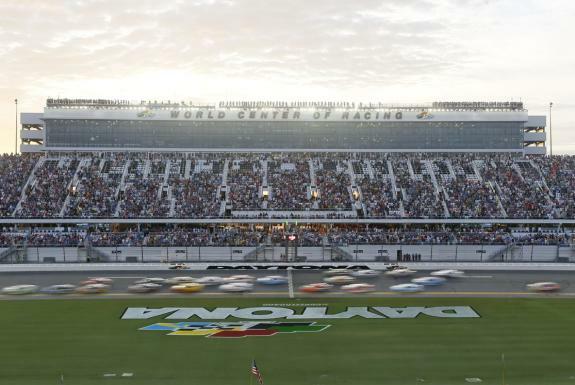 Each year, thousands upon thousands of racing fans flock to Daytona Beach to take in some high-octane excitement at the most iconic racetrack in motorsports — Daytona International Speedway. And, as experienced race-goers know, packing for an auto-racing event requires a bit of insider know-how, as the list of spectator must-haves for this sport differs a bit from that of other American sporting events.